"Les Miserables," the long-awaited film version of the hugely popular stage musical, due in December from Universal, has taken a decidedly unorthodox route for a screen musical: All the actors recorded their songs live on the set. No non-rock musical has been shot that way since "At Long Last Love," Peter Bogdanovich's forgotten Cole Porter songfest from 1975, according to musical historians consulted by Variety. Usually the actors pre-record their songs with orchestra in a studio, and then lip-sync to them during shooting. (Famous exceptions to that rule generally involve Rex Harrison, who insisted on singing live in both "My Fair Lady" and "Dr. Dolittle.") But nearly all of the two-and-a-half-hour "Les Miserables" is sung. The adaptation of Victor Hugo's 19th-century novel is practically an opera. Says producer Cameron Mackintosh: "How on Earth could an actor go into a studio months before they've even started rehearsing, and lay down their performance, particularly in an entirely sung-through piece? You can't do it in advance!" 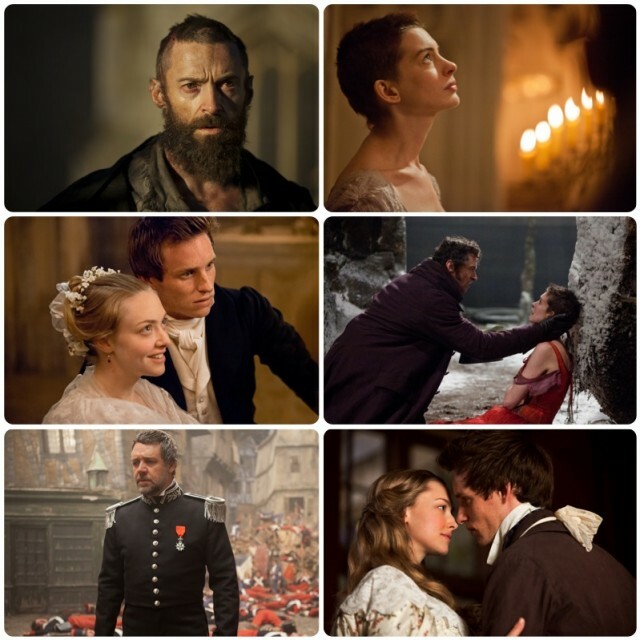 So for nearly four months, Hugh Jackman, Russell Crowe, Anne Hathaway and the other stars of the film acted and sang for the cameras, as if "Les Miserables" was a dramatic film that just happened to have actors singing all the time. Wearing tiny, unseen earpieces, they listened to an off-stage electric piano accompany them on set. "We were all quite nervous about this approach," says music supervisor Becky Bentham, "but we very much embraced the challenge." Oscar winner Anne Dudley ("The Full Monty"), who is serving as music producer, agrees: "It was an absolutely essential way to do it. It's not like the songs are incidental to the drama; the songs are the drama. Everything happens in the music. I cannot imagine how the actors could have performed," she says, had they been forced to lock in creative choices doing a studio recording the old-fashioned way. In fact, says producer Mackintosh, it's one of the reasons he chose Tom Hooper ("The King's Speech") to direct: "His passion was to record it live, which is something I've always wanted to do. He absolutely embraced the whole of 'Les Miserables.' " Preceding the shoot were weeks of rehearsals. "We spent a long time with all the actors," Dudley reports. I think Hugh (who plays Jean Valjean) was eight to 10 weeks, every day doing vocal warmups and just getting the songs into his soul. Russell (who plays Javert) doesn't have quite such a big part, but he put in the time and effort as well." Dudley cited production sound mixer Simon Hayes' expertise in capturing the on-set vocals as crucial. "The sound crew became our recording engineers," Bentham adds, but only after "extensive" research into mics, earpieces, and how this unusual way of recording would impact later efforts to complete the musical score, which are now beginning. Notes Universal music president Mike Knobloch: "We had to set Tom up for success -- to achieve his vision of a raw, gritty, authentic style of performance -- using a pioneering production methodology. Now, as the film is being assembled, the direction of the music will be informed by the intricacies of the live filmed performances." Click tracks (those metronome-like beats that keep the orchestra in precise time during recording) are being built around the actors' voices. Sophisticated synth demos of potential orchestrations will then be created to give Hooper (who is still editing) an idea of what the music surrounding those raw vocals might sound like. He'll make final choices, and a 70-piece orchestra will begin recording Oct. 10 in London. Dudley will produce the sessions, although, she says, original composer Claude-Michel Schonberg is "very involved" and will be writing new underscore for "the bits between the songs." He and lyricist Alain Boublil have penned a new song, "Suddenly," which Jackman sings after Valjean has rescued the daughter of Fantine (Hathaway) and she grows up. Adds Dudley: "People keep asking, 'Why is it going to cost so much? Why is it going to take you so long?' And I keep saying, it's two and a half hours of music. It's not a normal score. It's like four movies!"